Step 8: Black River agate (106 mm) from Argentina has convolute concentric banding. The shape of the bands does not follow the shape of the cavity. 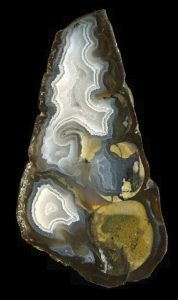 Among all agates, the nodular, banded variety, with their wonderful shapes and colors, is probably the most desired by collectors and the most intriguing to scientists. The magnificent geometry of banded agates is associated with a certain chaos that makes each of the nodules unique and ignites our imagination. 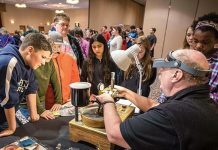 Despite the abundance of nodular agate specimens in museums and private collections around the world, there is no universally accepted theory that describes their origin. Many theories have been proposed, but most are devoid of any foundation in geology and do not account for the other varieties of crystalline silica, such as jasper and opal. 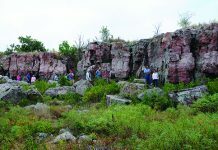 In a book published in 2012, this author proposed a new theory that explains the formation of the three phases of microcrystalline silica—jasper, chalcedony and opal—with a unique geological process. According to this theory, each of these is formed by the filling of cavities within soils, at surface temperature and pressure. Step 1: Banded agate developed inside a fossil gastropod (89 mm) from Dakhala (Sahara), Morocco. From the Cretaceous Period (~120 million years ago). In light of this new theory, this article will explain, step by step, the formation of banded agates, interpreting the structures present in common specimens that are accessible to any collector. . This explanation employs nothing more than an inductive-deductive method and no high-tech, expensive analysis. 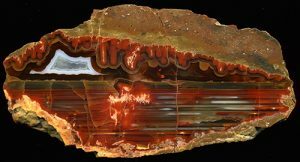 Step 1: Most agates are found in volcanic rocks, and for this reason some authors have proposed a high-temperature origin, but there are also agates inside fossils. 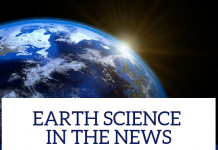 These occurrences show that the environment agates form in is not inside the magma, but inside the soils, at ambient temperature and pressure. The physics of soils is complex, but the phenomena that affect them are very familiar to us. 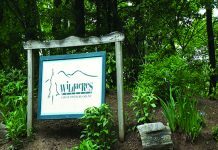 Soils will moisten with the rains and dry up in the summer. Step 2: Chalcedony coated the walls of the cavities, whatever their shape, in concentric layers. To remain stuck to the walls of the cavity, it had to be in the form of a dense solution. There are two types of dense solutions in nature: the “sol”, which is like honey and is fluid, and the “gel”, which is like a jelly and behaves rather like a solid. 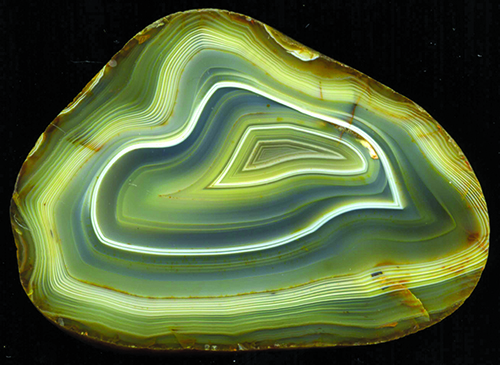 Step 2: The polyhedral shape of this agate with concentric bands (77 mm) from Paraiba, Brazil, is due to a cast pseudomorph growth between large, lamellar calcite crystals. for sure that it was once in the form of gel. Moreover, the presence of gel is further evidence of a genesis at low temperature because, when heated, gel will liquefy. The presence of gel also indicates that the silica was once in the form of a polymer because gels are usually constituted by polymers. Step 3: In some agates, the bands formed stalactites, from which we can infer that the layers of gel that were stuck to the cavity roof were dripping down. We know that a gel can turn into a sol when water is added to it, so it is clear that this type of agate specimen suffered a partial dilution of its concentric bands. In the lower portion of these agates, there are often horizontal bands, which are clearly derived from the dripping stalactites. We can infer that concentric bands, in the state of a gel, have been diluted and have dripped down, forming a kind of lake. Typically, the stalactites are found in elongated cavities that resemble small caves. Step 4: In some agates, bands form a concentric portion and a horizontal portion at the same time. If we look in more detail, we can see that some bands become thicker in the horizontal portion, while others have a constant thickness. This means that the bands are not all the same; some have a plastic behavior. As in the case of the stalactites, the chalcedony of these bands first adheres to the cavity walls concentrically as a gel, and then is partially diluted and flows by gravity as a sol. If the dilution was stronger, there will be only horizontal bands. Stalactites did not form in more rounded cavities because the chalcedony was allowed to flow laterally instead of dripping from the roof. Step 3: A thunder egg (143 mm) from Maiskoje, Kazakhstan, contains stalactites of chalcedony. The cavity is filled by horizontal banding at the base and concentric banding above. Step 5: In some nodules, called fortification agate, concentric bands are not continuous, but follow broken lines. 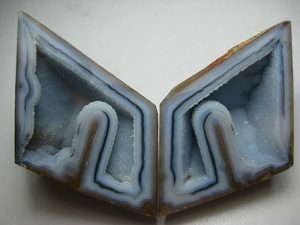 The highly curved fold in this type of agate corresponds with the point at which the cavity has the greatest curvature. Some bands have a fibrous structure, with fibers appearing perpendicular to the band. At the crest of the curve, the fibers are reoriented, creating two domains of crystallization separated by a visible joint. The presence of the joint is a clear demonstration that some bands have a rigid behavior. Step 6: We can identify a sequence of bands made up of three main types of bands: the clear globular chalcedony that is plastic and fluid, responsible for the formation of stalactites and horizontal banding (Steps 3 and 4); the fibrous white chalcedony that is rigid and caused the formation of domains of crystallization (Step 5); and the crystalline quartz, which is obviously rigid, too. We can interpret the sequence as a sequence of crystallization. At the beginning, we have a dense colloidal solution from which the globular chalcedony separates. Gradually, the solute is subtracted and the solution becomes more diluted, which leads to the crystallization first of the fibrous chalcedony, and then of the quartz. Step 7: The stages of deposition of a sequence of crystallization of bands as the result of a wet-dry cycle can be compared to the gel lining and liquid milk inside a green coconut (bottom right). (M. Campos-Venuti, 2012). cavity. First, a colloidal solution rich in silica in the form of polymer separates against the walls of the cavity (globular chalcedony). At the center of the cavity, a diluted solution remains, from which first the fibrous chalcedony and then the quartz crystallized. It is a very similar situation to a green coconut, in which a gel on the walls, which will become the pulp, and a liquid center, the coconut milk, coexist. When quartz crystallizes, the solution is fully diluted and the quartz band represents the end of the sequence or the completion of the drying of the cavity. When the cavity is filled again by water, the process begins again. The formation of a sequence of bands is the result of an annual wet-dry cycle. Step 8: Since the bands are formed one at a time, it is clear that the convolute concentric bands that do not follow the shape of the cavity are primary, meaning that they form with a twisted shape, without secondary deformation. In some areas, bands grow thicker, and in other areas, thinner. Scientists have thought that convolute concentric bands are the result of a deformation of the bands after their formation. But as examples have shown, only bands of globular chalcedony are plastic, while bands of fibrous chalcedony and quartz are rigid, and therefore undeformable. Step 6: The three kinds of bands that are present in an agate are ordered in a sequence of crystallization (M. Campos-Venuti, 2012). Step 9: A connective channel is also a primary structure and has not been formed by deformation of the bands. This channel is simply a small interruption of the bands where water flowed quickly into the cavity, as opposed to seeping slowly through the porous first chalcedony layer. For that reason, the terms “outflow channel” and “inflow channel” are wrong and result from the erroneous perception that the channel was formed by deformation of the bands from the inside to the outside, or vice versa. Step 10: In some samples, some bands have a concentric structure on one side of the agate, but a horizontal structure on the other side. On the side with horizontal bands, there is always an interruption of the bands at the cavity walls, which allowed a greater influx of outside water from this side. Dilution was very slight in these samples and was not able to reach across the nodule. Only the part near the interruption of the bands was diluted, which prevented the gel formation necessary for the bands to remain stuck against the wall of the cavity on this side. 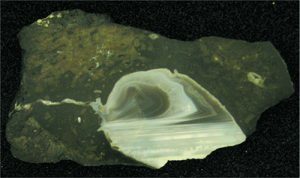 Step 11: The Scottish specimen pictured in Figure 12 is a rare sample of an agate in its basaltic host rock that shows its feeding fracture. 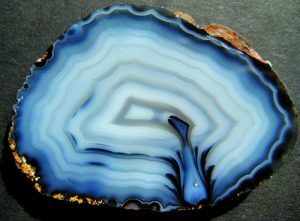 In the agate nodule, horizontal bands formed in the lower portion at an earlier stage, then the concentric bands formed above. It is evident that the presence of the fracture in the host rock facilitated the entry of water into the cavity, causing dilution, which in turn was responsible for the formation of horizontal bands. When, however, the horizontal banding reached the level of the fracture, the access of water into the cavity was stopped, thereby preventing dilution. At this point, concentric bands could finally adhere to the walls of the cavity. However, corresponding to the fracture, an interruption of the bands remained that developed a connective channel. Step 5: Laguna agate (102 mm) from Chihuahua, Mexico, shows crystallization domains separated by joints. 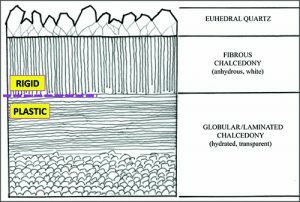 At the right is a diagram of the organization of fibrous chalcedony forming a joint. the host rock interferes with the growth rate of the bands. In many agates, there are areas in which bands have grown faster and areas that have remained without bands for a longer time. The latter must have corresponded to fractures in the host rock, where the bands could not be formed due to the penetration of water. Only later, when the gap between the bands closed, could concentric bands grow more uniformly. Knowing this, we can speculate where fractures were present in the host rock for any loose nodule. Our mystery is solved! Investigating few specimens that every collector can have in their house and without any technological instrument except for our brain, we were able to investigate, step by step, the logical arguments that allow us to understand many complex phenomena in agate band formation. Step 9: This Parcelas agate (53 mm), from Durango, Mexico, has a well-structured connective channel. Agate bands are concentric because they form first in a gel state, but this state is easily destroyed by the sudden arrival of new water—for example, from rainfall—and then chalcedony can flow to form structures such as stalactites or horizontal banding. A stronger dilution would lead to the formation of quartz. The bands are of three types: clear globular chalcedony, white fibrous chalcedony, and crystalline quartz. Fibrous chalcedony and quartz are not deformable and this underlies the formation of the joints of crystallization. The complex geometry of the bands is caused by differing porosity in the host rock, mainly due to the presence of fractures that intersect the cavity. A connective channel is formed at this intersection and is active as a channel until its obstruction. A sequence of bands is the result of an annual wet-dry cycle. During the wet phase, water carries silica in solution into the cavity. During the dry season this solution is drying, making the solution denser and transforming it into colloidal up to crystallize. Next wet cycle, a new solution comes in carrying new silica, which adds to what already was inside. To this simple depositional cycle, numerous phenomena are superimposed that take place inside the cavity during filling and hardening of chalcedony. If a sequence of bands is formed in a year, then it is clear that the filling of the cavity is a short phenomenon, on the order of a few years. In the millions of years that followed after the nodule hardened, numerous other secondary phenomena affected the final appearance of the stone. Step 4: In a thunder egg (117 mm) from Secret Ridge, Oregon, concentric bands are in continuity with horizontal bands. The diagram shows the thickness variations of different bands that highlights which one had a plastic behavior (Q = quartz; FC = fibrous chalcedony; GC = globular chalcedony). a varve, or rhythmite. In geology, varves are thin, sedimentary layers that originate from a repeated—usually annual—phenomenon, mainly dependent on climatic factors. The accumulation of varves can produce thick deposits like most lacustrine or deep-sea deposits. In a broad sense, the laminas of polar ice and the rings of stalactites or trees can also be considered varves. In conclusion, the environment of agate formation is occasionally flooded soil that is able to dry off completely, thanks to a climate with distinct seasons. The area of formation of agates is a zone inside the soil that goes from above the water table during the dry season to below the water table in the rainy season, also called the zone of intermittent saturation. Every single rainy event can alter this balance and leave traces in the nodule formation. If we’re digging a deposit of agates, we must bear in mind that we are in a fossil soil. Then the understanding of the original groundwater position can give us important information on where to continue excavations. Obviously, the climate has a strong influence on the type of agate, and we can recognize the paleoclimate of an area from the agates that are formed in it. The more humid the weather is, the more horizontal bands, fibrous chalcedony, and quartz will form. In more arid climates, concentric, convolute bands are more common. 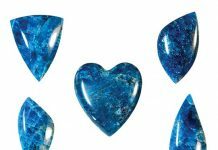 The presence of moss in an agate is an indicator of moisture—but that’s another topic. The type of host rock also has some influence on the agate nodules. For example, agates in sedimentary rocks never have connective channels. This is because the sedimentary rocks are extremely porous, compared to glassy volcanic rocks, so the intrusion of water into the cavity after a rainfall happens suddenly and causes the formation of quartz. The presence of a fracture in the host rock that intersects the cavity is totally useless and so connective channels or horizontal bands never form. Step 11: The feeding fracture of this agate nodule in basalt (82 mm) from the Isle of Skye, Scotland, has been filled by chalcedony. The formation of color in agate can be a primary process, which is when the colors originate at the same time as the agate is formed and from the same solutions, or a secondary process, after the agate solidifies in geologic time and from different fluids. In the first case, the colors are concentrated at the center of the nodule, and in the second case, they are located on the outer edge. The formation of a banded agate nodule is a closed—or almost closed—system. Solution must pass through the first chalcedony layer that isolates the cavity from the host rock in order to infiltrate the cavity. This layer acts as a filter, and only few elements can cross it besides silicon. Iron and manganese are the most common elements in the soils that give color to an agate. They are called chromophores, and they are incompatible with the crystallization of chalcedony, so they accumulate inside the cavity. For that reason, the first, or more external, bands of a nodule are transparent. Gradually, the bands accumulate on the walls of the cavity and, as the years pass, the concentration of chromophores within the cavity increases until they are forced into the globular chalcedony, which has water molecules inside. Iron and manganese may begin to manifest their colors at different times, but overall color intensity increases in the latter stages of the nodule’s filling. Primary colors are common, for example, in Laguna agate. Chromophores never enter fibrous chalcedony or quartz bands, which are anhydrous. This is why these bands remain white. 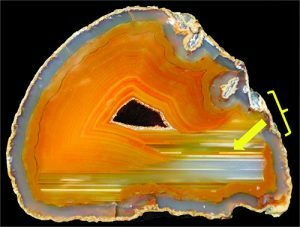 Step 10: Concentric bands in an agate nodule (90 mm) from Rio Grande do Sul, Brazil, switch to horizontal (arrow). An interruption of the bands (brackets) allowed a partial dilution. colors, because limestone is very poor in chromophores and basalt cavities are coated with a green patina of celadonite, the early result of the devitrification of basaltic glass, which is impermeable. However, with a bit of luck, these deposits can be affected by solutions rich in chromophores long after the formation of agates. Slowly, over time, initially grey agate may acquire secondary coloring from water intrusions. Secondary colors are common, for example, in Condor agate. About the Contributor: Marco Campos-Venuti is from Italy and the author of the book "Genesis and Classification of Agates and Jaspers: A New Theory."